Welcome back to our series on using frameworks to break down consulting case interviews. In our first article, we provided an overview of frameworks and how you can use them to solve any case that gets put in front of you. In our last article, we took an in-depth look at Market Sizing. Today, we’re looking at profitability frameworks, which are probably the most important. Why, you ask? Think of it like this: if business is like our solar system, then profit (also known in simple circles as cold hard cash) is the sun, around which the celestial bodies revolve. As hard as it may be for some of you to admit, without the sun (the green stuff, Benjamins, clams, coin) everything falls to pieces – quickly. It’s not that we’re saying money makes the world go round…except we kinda are). With that in mind, nailing the profitability case that gets put in front of you is an absolute must; so without any further delay, here are the 4 situations in which you can be sure to apply the profitability framework. This seems like a bit of a no-brainer here; don’t all companies want to grow, all the time? 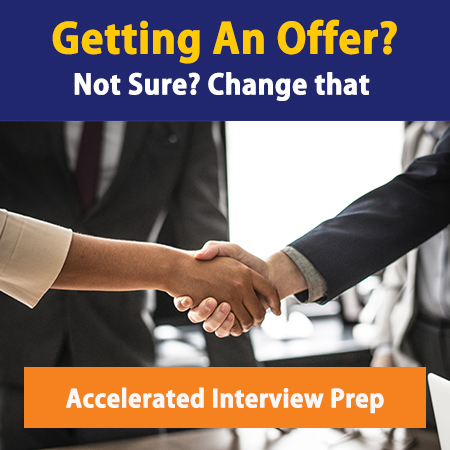 But what’s likely true about the case interview you will be presented with is that your client is ready to launch an all-out, no-holds-barred attack on the future in the hopes of seeing significant growth in a short period of time, rather than just incremental growth over a longer period. It could be that your client wants to grow revenues, market share, profits, or all of the above, but just increasing revenues won’t be enough, because increasing revenues often means increasing costs. You need to demonstrate an understanding of which operating costs are going to be increased for the new initiative, any costs to the client for launching the new initiative, and maybe even calculate the payback period to demonstrate the true impact on the business. Here’s a rule for profitability – every time revenues are included (growth usually implies revenue growth), cost should also be included. Even if you get pointed squarely towards either cost or revenues by your interviewer, make sure you keep the other in your mind (and in your structure) at all times. The basic question here is, “why have sales gone down?” It may be that the customer needs have changed, or it may be that some new fierce competitor has come on the scene. Whichever it is, you need to figure out what is happening and then why it is happening. Either the variable costs or the fixed costs have gone up. The goal here is to once again figure out what has happened and why it has happened. However, in a world of increasingly high profile disruptors like Uber, Netflix, and Dollar Shave Club, these questions may not necessarily apply exclusively to non-profits. Your client is looking at option A vs option B, but needs the benefit of your top level analytical skills and insight before making their decision. In this situation, you need to quickly assess the revenues and costs associated with each option, ascertain which is the more profitable, and provide your recommendation based on your findings. The first thing you need to do is identify which question you’re addressing. Variable Labor – Have wages increased without a corresponding increase in price? As long as you solve the profitability cases using simple structures in 2 levels (what is changing and why), you’ll be well on your way to acing the case. See our introduction to case interview frameworks. This is just a brief look at profitability, but it’s enough to get you started. If you’d like more help, book an Interview Prep Session with us.